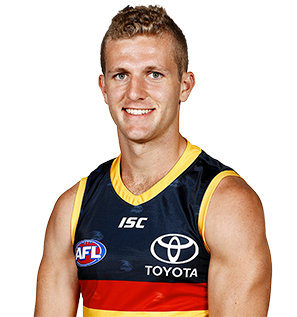 Adelaide’s second pick (No.40) overall in the NAB AFL Draft, McPherson is a medium-sized defender who reads the ball well. The NAB AFL Academy graduate also has good endurance, neat skills and footy smarts. He represented South Australia at the Under-18 Championships as a ‘bottom-aged’ player, but missed the entire 2017 carnival because of injury. The SA vice-captain possesses strong leadership qualities and a professional approach.